The Best Opera blogs from thousands of top Opera blogs in our index using search and social metrics. Data will be refreshed once a week. Also check out Opera Podcasts and Opera Youtube Channels list for Top videos on Opera. Opera newsletter is a comprehensive summary of the day's most important blog posts and news articles from the best Opera websites on the web, and delivered to your email inbox each morning. To subscribe, simply provide us with your email address. Facebook fans 6,789,824. Twitter followers 6,149,069. New York City About Blog News about opera, commentary and archival information about opera from The New York Times. Facebook fans 12,744,120. Twitter followers 32,565,842. London About Blog Home to The Royal Opera and The Royal Ballet — the place to watch and learn about world-class opera, music, ballet and dance. Facebook fans 552,435. Twitter followers 185,543. Los Angeles, CA About Blog An engaged and enlightened community in which all members have the opportunity to collectively enjoy the rich aesthetic, emotional, intellectual and cultural experience of opera. Facebook fans 41,709. Twitter followers 33,320. NYC About Blog Where opera is king and you, the readers, are queens. Facebook fans 960. Twitter followers 3,043. Vienna, VA About Blog Wolf Trap Opera is dedicated to creating excellent performing arts experiences for the enrichment, education, and enjoyment of diverse audiences. Facebook fans 3,066. Twitter followers 8,992. London About Blog A Younger Theatre give opportunities to emerging creatives to engage in theatre and the arts through partnerships and events, digital takeovers and socials. Facebook fans 3,555. Twitter followers 24,919. Dallas, TX About Blog The Dallas Opera is a perfect introduction to this endlessly entertaining art form. Facebook fans 34,409. Twitter followers 21,908. Salt Lake City, Utah About Blog Utah Opera produce opera with artistic standards of distinction and with a fresh vibrancy, new works for our area as well as the classics. Facebook fans 6,213. Twitter followers 700. Facebook fans 544. Twitter followers 5,242. Edmonton, Alberta About Blog Edmonton Opera is dedicated to producing great performances that bring the powerful emotions of opera to our community. Facebook fans 2,315. Twitter followers 6,176. About Blog This is a blog focused on classical vocal music, opera, art song and choral. Seattle, WA. About Blog Seattle Opera serves the PNW with music, theater, and storytelling in McCaw Hall and beyond. Facebook fans 77,107. Twitter followers 26,323. San Francisco About Blog The Opera Tattler authored by Charlise Tiee is a blog on reviews of performances and their audiences, with an emphasis on San Francisco Opera. Facebook fans n/a. Twitter followers 1,360. Facebook fans n/a. Twitter followers 6,222. About Blog Reviews of performing arts with emphasis on young artists and small opera companies. Brooklyn, NY About Blog Superconductor includes classical music and opera reviews, concert reviews and criticism in and around New York City by Paul Pelkonen. Facebook fans 438. Twitter followers 912. About Blog Vienna's opera blog aims to stimulate enjoyment of opera, demystifying an often rarefied and snobbish medium, to make opera accessible to a wider audience and to provoke debate. About Blog An attempt to opera reviews. Melbourne, Australia About Blog OperaChaser ia blog about opera, music, theatre, art and more. UChicago '18 About Blog A journey in classical music. Read the blog to find classical music, opera, and related news from Chicago - written by Claire Liu. New York About Blog Opera Teens is a national initiative to empower high-schoolers to pursue their interests in opera, share opera learning with others and leverage the power of opera to serve local communities. Facebook fans 83. Twitter followers 64. About Blog Opera Gene's goal is to provide commentary, criticism, and information to assist the opera fan in accessing and enjoying opera, those who share the opera gene. Facebook fans 6. Twitter followers 43. Zurich, Switzerland About Blog Sounding board for an opera-going language teacher. I'm a 35 year-old teacher living in Switzerland. I used to sing in a choir here in Zürich, where I live with my husband, who is a Ph.D student. Espionage is a blog about teaching, language, music, writing, reading and ideas; living in a crowded and noisy world; being an expert layperson. San Jose, California, United States About Blog Operaville is a blog by Michael J. Vaughn on opera, classiacl music, theatre. Michael J. Vaughn is the author of seventeen novels, including The Popcorn Girl and Billy Saddle. About Blog OperaJournal is a blog by Keris Nine on opera perfomences, music, and theatre. Chicago About Blog A blog by Brian Dickie on his experiences in opera n his contribution to opera. Rhode Island About Blog Posts on opera related events happening in Rhode Island. Manhattan, NY About Blog Operavision is a blog on Aprile Millo's view of the opera world. Facebook fans 773. Twitter followers 51. Norway About Blog Mary Miller's opera blog is about an innovative performing organisations with a programme which embraces a wide repertoire, singer and artist development, international collaboration and education. About - Home to The Royal Opera and The Royal Ballet — the place to watch and learn about world-class opera, music, ballet and dance. About - Opera North is a vibrant, lively organisation which actively challenges conventional perceptions of opera. Breathing new life into the classics, the Company is also a strong advocate of lesser-known works and a champion of musical theatre. About - A young(ish) opera singer's random thoughts and observations. 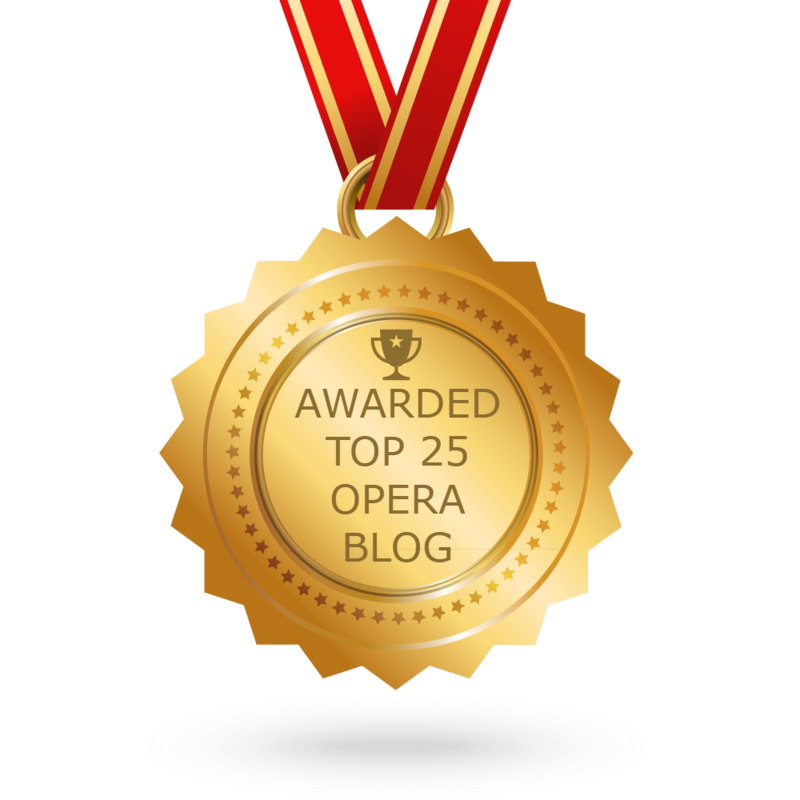 CONGRATULATIONS to every blogger that has made this Top Opera blogs list! This is the most comprehensive list of best Opera blogs on the internet and I’m honoured to have you as part of this! I personally give you a high-five and want to thank you for your contribution to this world.